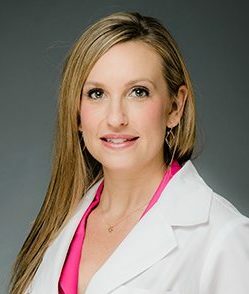 Jennifer Garrity graduated from the Medical College of Georgia in 2001 with a Bachelor of Science in Nursing. Upon graduation, she completed an internship and began working in the Intensive Care Unit at Northside Hospital. She remained there for four years and began to transition into the plastic surgery field in 2005. After working closely with Dr. Robert A. Colgrove, Jr. for two years doing injections and surgery, Jennifer decided to focus on performing patient injections on a full-time basis. Jennifer has completed several courses through Aesthetic Advancements Incorporated (AAI), including basic and advanced injection techniques. Jennifer also apprenticed with various Atlanta-area physicians and nurses. She has completed numerous continuing education courses with Allergan, one of the world’s top facial filler and Botox manufacturing companies, as well as Merz Aesthetics, Galderma, and Suneva Medical.